This is a way for our widely dispersed family to connect, share family information and current events, discuss issues, show pictures, learn about our history, circulate recipes and more. Send anything that you feel the family might like to hear about or look at and I will do my best include it. Don't be shy. Seeing something that you've put on the web is a kick. New material is added from time to time. Stop in and visit your web site when in the neighborhood. YOUR HELP IS NEEDED in order to bring our family web site up to date, especially in these three areas. 1) Genealogy: Please take time to look at your part of the family hostory (origins) tree and send revisions such as births, deaths, marriages, corrections, etc. 2) Your Email address: I don't have many correct email addresses. Please send me yours. 3) Family Webs: Most of these are out of date and should be removed, revised or added to. October, 2013: Video now on the web site. Growing up in Virginia, Minnesota. October, 2013: Video now on the web site. October, 2013: Clips from family movies made by Clarence Siegel were recently updated on the web site: Battle Lake, Minnesota 1943. September, 2010: The Strimling Genealogy section including the Strimling Strimling origins and hstory and Strimling Family Trees have undergone a major update. July, 2010: Allan Garon and Karen Entous have created a searchable collection of nearly 1000 newspaper articles along with a web site about Jews on the Iron Range, Duluth, Superior and elsewhere in northern Minnesota. April 29, 2009: NOTE: Password protection was removed from the family web site except for the family tree section. If you already have a user ID (name) and password they will continue to work. Email Leighton Siegel with your name and how you are related if you need a user ID (name) and password. 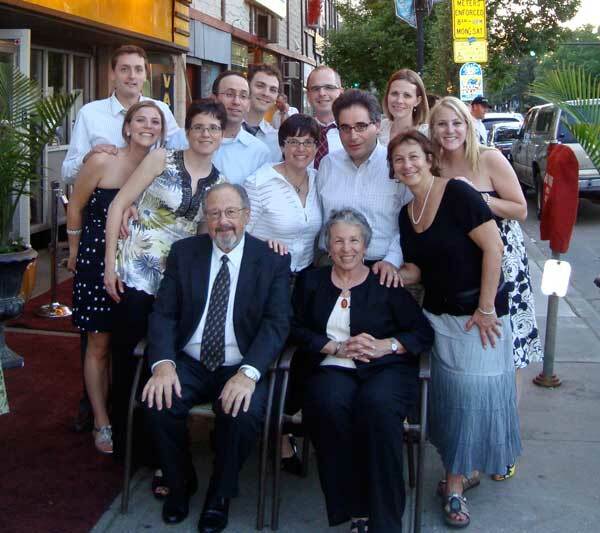 May 27, 2009: Major Genealogy updates of Family Origins (history) and/or Family Trees for MILAVITZ, OSTRIN, WILENSKY, SIEGEL and DORF. May 28, 2009: View the slide show that was seen in 1977 at the Pauline and Dave Ziskin 40th wedding anniversary party. Milavetz addendum section and in the Special section. September 12, 2009: A digitized copy of the Siegel Family Reunion Book distributed in 1980 at the Siegel Reunion in Minnesota with the 1990 update as an appendix has been added. You can also find the Siegel Family Group Photo taken at that time. September 30, 2009 Siegel family tree A NEW DISCOVERY: We are now able to go back one more generation, and know the the names of Mikhel Leyb’s father and mother. November 22, 2009 Bits and Pieces, an additional update to the Siegel Family Reunion Book, was added. 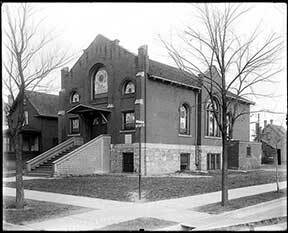 Dianne & I and others are working on a project to restore and repurpose the deteriorating and abandoned synagogue, B'nai Abraham in Virginia, Minnesota. It's a beautiful and historic building. The project is remarkably interesting and worthy of support. You can learn more at www.IronRangeJewishHeritage.org. Dianne & I and others are involved in a project Honoring the Original 1880's Jewish Homesteaders of the Garske Colony. 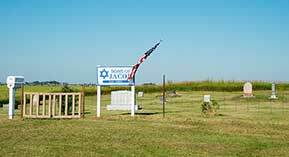 A Monument Honoring the Original 1880's Jewish Homesteaders of the Garske Colony was dedicated on September 17, 2006.